I thought I’d compile a list of what I consider the 10 best opening title sequences for superhero TV shows and movies. I largely went decade by decade in analyzing the best openings, though the 60s or 90s seemed to be the two biggest decades for superhero TV shows (probably the influence of Batman for both decades). I’ve embedded the openings below in a YouTube playlist, as well as given my thoughts on each theme song. The 40s theatrical Superman shorts produced by the Fleischer Studios (and later Famous Studios) are among the all-time superhero classics. The opening also gave us one of the earliest versions of the famed “Faster than a speeding bullet…” narration. The classic 50s live-action TV show starring George Reeves as Superman is highly memorable. Featuring the now-classic “faster than a speeding bullet….” version of the opening narration, as well as adding “the American Way” to the “truth and justice” slogan for the first time. I wanted to include at least one funny-animal superhero, and the choices came down to Mighty Mouse, Underdog, Atom Ant, or the Teenage Mutant Ninja Turtles. I opted to go for Mighty Mouse, seeing as he’s the oldest of the bunch, plus his theme song’s been referenced in various places, including a remake for his classic 80s animated series. Mighty’s also one of the earliest theatrical animated characters whose shorts appeared on network television. The anthology series “Mighty Mouse Playhouse” debuted on TV in 1955. Spider-Man’s first foray outside the comics also gives us his best opening theme song ever. Even “The Simpsons” has parodied it. While the opening on-screen consists of minimalist zooming credits, the Reeve Superman movies possess the best superhero movie theme music of all time. My favorite Batman opening title sequence other than the Adam West version. 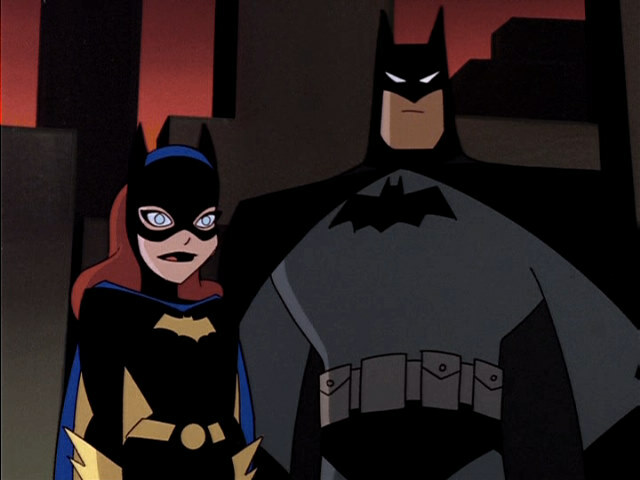 While “Batman: The Animated Series”‘s opening doesn’t list the show’s title or have any dialogue/credits, it does successfully conveys the tone of the series. The Powerpuff Girls’ opening not only shows plenty of action from the girls and covers their origin story, but it’s also an homage to the Adam West Batman series’ opening. The 2000s Teen Titans animated series came in two versions, one sung in English, the other sung in Japanese. Any thoughts on the list? What’re your favorite show openings?